Lovingly cared for marsh front home with 4 bedrooms and 2 baths and a large dining and den area with views to die for! There is plenty of room to spread out as this home has over 1,800 square feet on one level. 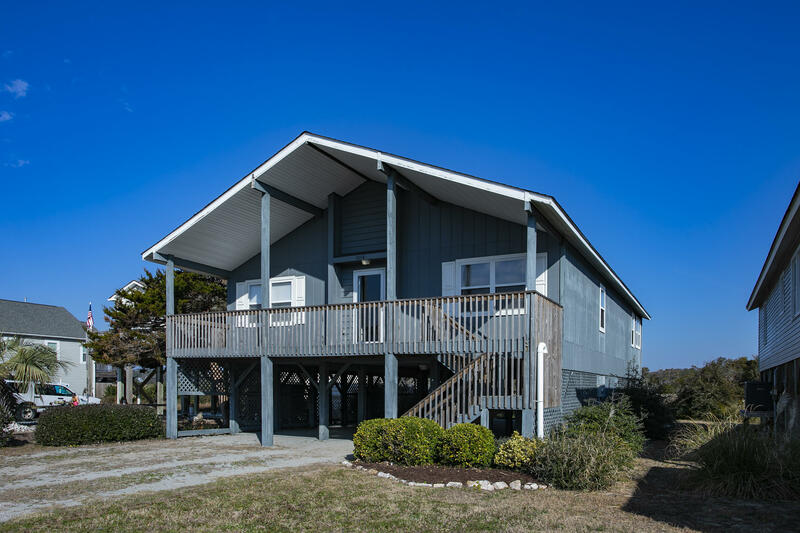 Catch a glimpse of the ocean from the rocking chair front porch and enjoy the ocean breezes. Got stuff? Enjoy the larger ground level storage area for all of your beach and fishing stuff. If you like views and privacy this is the home for you. Sold furnished with a few exceptions.